Last Wednesday, I designed and ordered my first Blurb book. By Friday afternoon, my fingers were happily turning it's pages. I was thrilled. 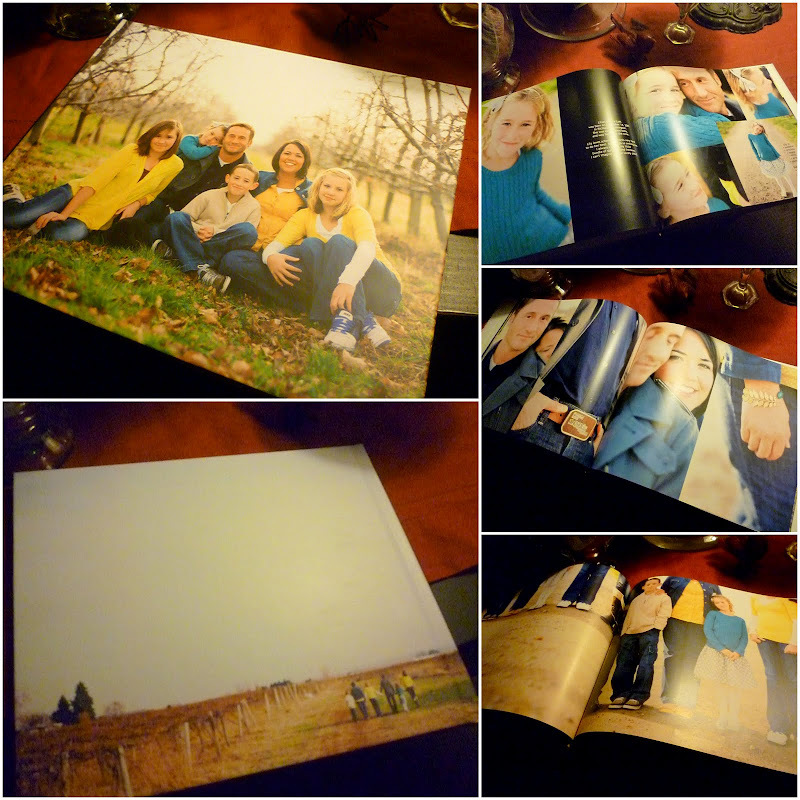 To have our recent family pictures in book form is the perfect way for our family to enjoy these shots. My plan is to order a book for each of the children so that they will always have a record of this time in their lives. The Blurb software was easy to download and use, and I really appreciated the ability to customize the layouts. My brain is spinning with ideas for future Blurb books. *** Post edit: My cousin Amy asked in the comments about the price for this book, and I should've included that info, because it is so reasonably priced. The style of book that I ordered is the hardcover/image wrap and it runs $31.95 for 24 pages. I searched online for a coupon code which saved me $10 and so my first book only cost me $21.95 + tax + s&h. A great deal. Then I ordered two more books, and used a different coupon code I found to save the $6.99 s&h cost. There are also less expensive options like softcover [$19.99] and hardcover with a dust jacket [$29.95.] Of course, the more pages your book has, the more expensive it will be.